A group of Great River Chapter members and guests met on August 3 at Northrop Gallery on the U of Mn campus. Lisa Aston Philander, Curator of the College of Botanical Sciences Conservatory, gave us a very informative tour of "The Roots to Healing." 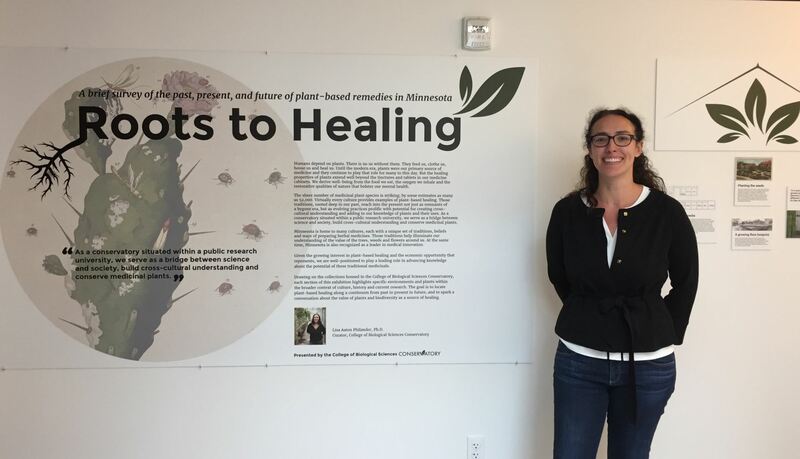 This Exhibit is a brief survey of the past, present and future of plant-based remedies in Minnesota. We learned that ginseng was one of Minnesota's first major exports and that Lady's Slipper Orchids were used by Ojibwe people medicinally. 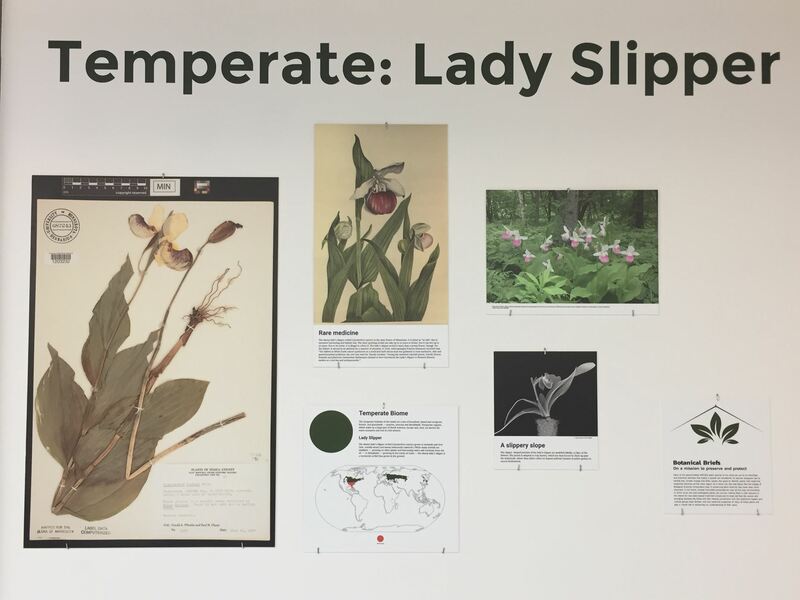 Some of the Exhibit highlights are a Medicine Wheel, prints by international artist Andrea Carlson, and Herbarium Specimens from the University of Minnesota. "The Roots to Healing" Exhibit will be on display through the end of the year.